Hi! I'm Helen Claypool (Frog). 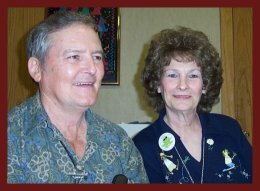 My husband Don (Toad) and I live in Kirksville, Missouri. We had a small house and had to enlarge it to accommodate more than 12,300 frogs. 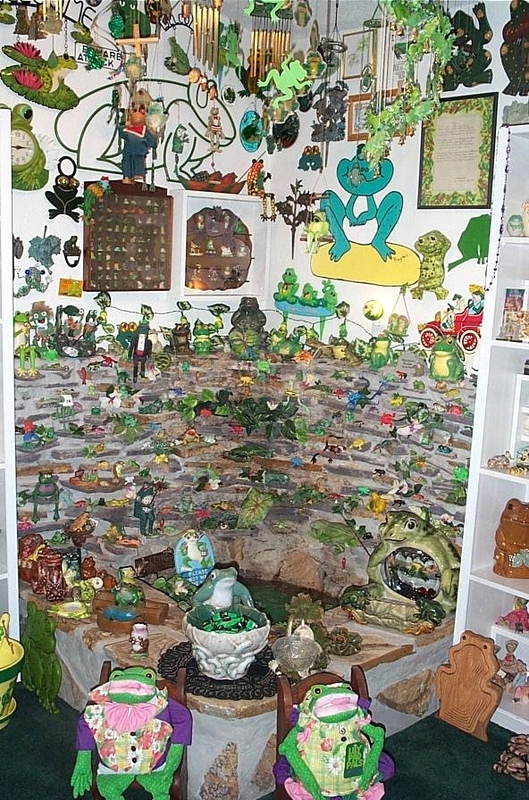 It is now known as the House of Frogs Museum. There is a frog guest book with a frog pen for the over 400 people a year to sign in with when they come to view the frogs. I treat the visitors with homemade frog mints and frog pencils for the kids. I love to see the looks on their faces when they enter the frog museum. I have great pleasure in telling them the history of all the frogs. The visitors leave saying they will always remember me and my frogs. 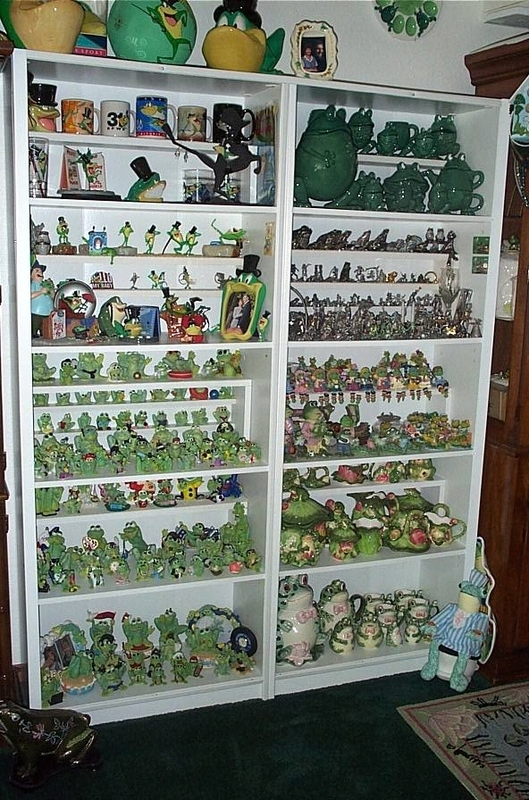 I have loved collecting frogs for over 40 years. I have them from all over the world and made out of all kinds of material. Some were given to me, some I made, and some I got at antique malls and flea markets. My first frog was given to me by someone very special. It is a small frog made of hard rubber. Its cost was ten cents at that time. I keep an inventory log of every frog. All the frogs are logged with numbers and all kinds of information on them. None of the frogs are for sale. I get great pleasure in talking to, playing with, and cleaning the frogs. I know you think I'm crazy... but what do you expect from a FROG? I do not eat frog legs. I did when I was a kid, and I still know the good taste of them, but have no heart to eat them anymore. I give great credit to my husband, who is my only Toad, for all the love and support for the frogs. He is my other two eyes when we are looking for frogs. Thank you, Toad. I have a great-grand niece, Shelby, who is three years old, that I spend time with, and she does not bother the frogs. She always points at the frogs and says, "No, no, no, Shelby." I'd love to have you stop by and see all the frogs. 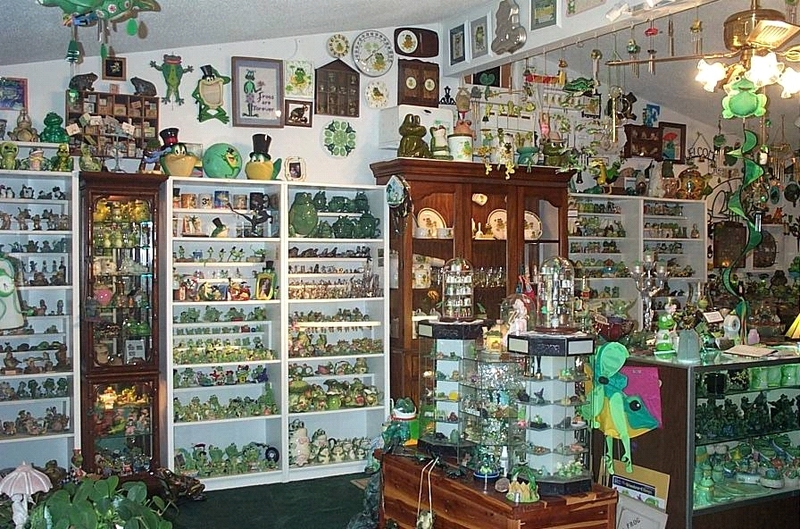 May each person someday be blessed with a special item to collect, maybe even frogs. Thanks for looking, and have a Great Hoppy Day! A very special thanks to MizFrog for this space on her Web site. 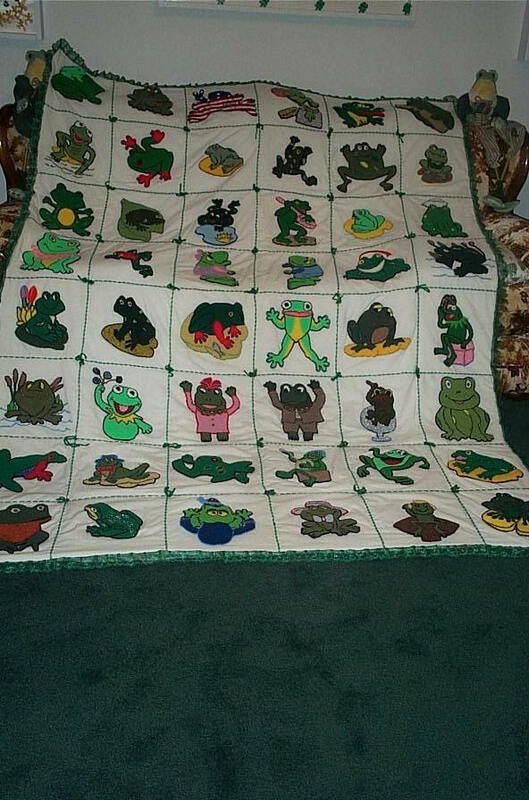 To view the following pictures of Helen's House of Frogs Museum and the beautiful frog quilts she made, click on a thumbnail below. To return to this page, click on your browser's Back button. 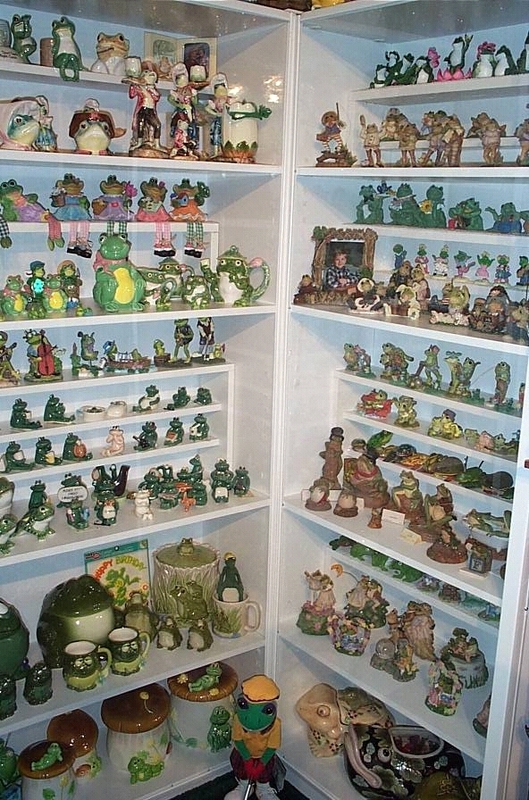 These are just a few of the many shelves of frogs. 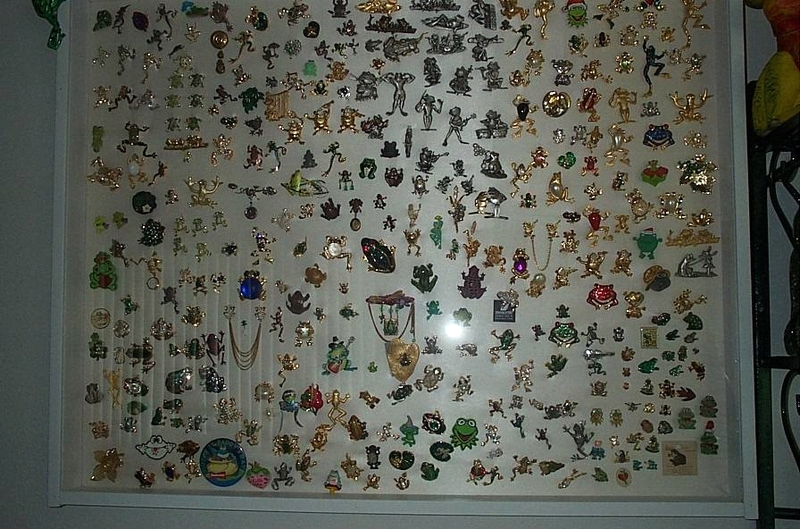 This jewelry case is one of six. This is a frog waterfall. Beautiful! and Beverly (Hoover) Eddy, her sister. Special designs handmade by Helen. Click on the thumbnails for a large view of the quilts. It took a lot of patience, time, and strong hands to do the work on these quilts. I do a lot of this needlework while we are traveling on the road or in a plane. The quilts are 100% cotton fabric. Some of the frogs are from my school pictures, some Don enlarged for me, some from my nieces and nephews, and some we drew. 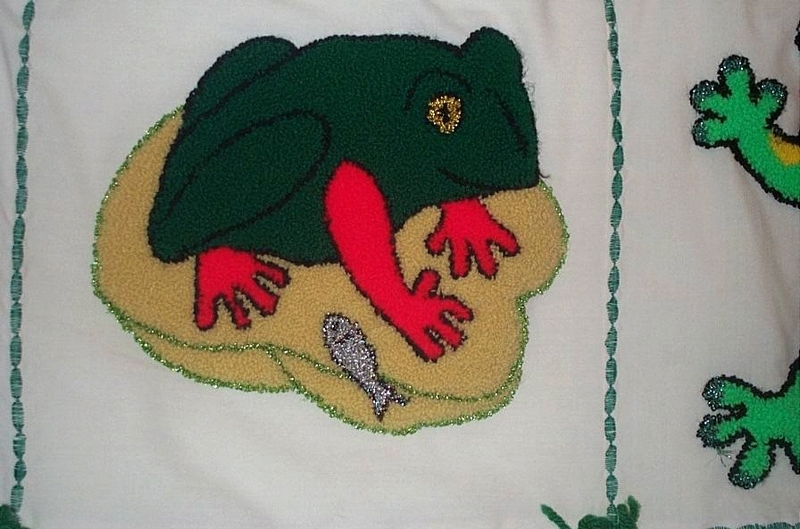 Each frog is done by a punch needle, which forms a small loop. In the smallest frog, there is over 3,000 loops. The bigger frogs have over 5,000 loops. It takes about 36 hours to do a small frog. The loop thread is thin. 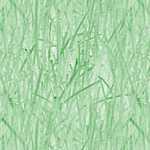 There are about 35 yards to a spool, and it takes five to eight spools for a frog (this is for the main color). The spools are $6.00 to $8.00 each. Each block is set apart with a special machine design. The batting is regular cotton quilt batting. 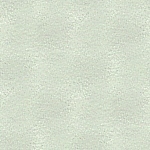 The backing is 100% cotton. It's hand-tied together with yarn and the edges are finished with lace. A tag says —Hand made by: Frog—. send her an e-mail to arrange a tour.